Extra virgin olive oil is the product of the processing of the olive tree fruit, without adding foreign substances or other oils. Olive farming has been practiced since ancient times in countries bordering the Mediterranean Sea. One can safely say that the Apulia region, with its more than 50 million olive trees is the most important Italian olive region. 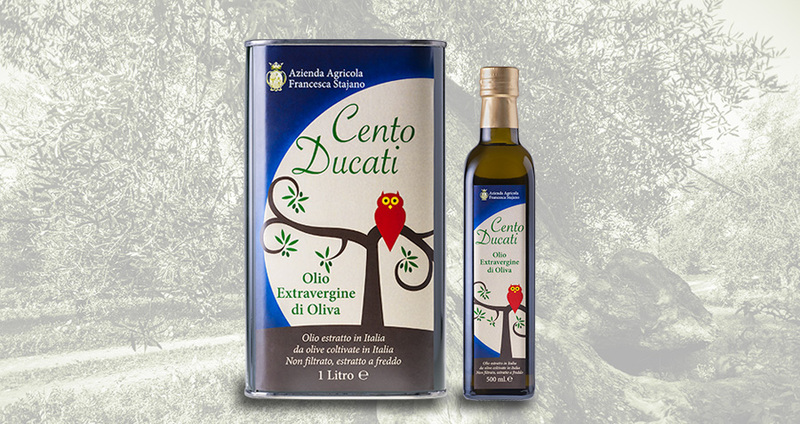 The extra virgin oil produced here offers excellent quality and its organoleptic characteristics make it suitable for the Mediterranean diet. The extra virgin olive oil, in fact, is a key component of the “Mediterranean diet”, as it not only satisfies the taste and season the food but even more provides the body with nutrients (oleic acid, carotene, tocopherol, vitamin E , and other phenolic compounds) which contribute to its balanced development, the protection against degenerative diseases and a slowdown in the aging process. We bottle our own olive oil at our installations because a good extra virgin olive oil of superior quality you first and foremost get in the countryside. So our first focus is on the care of our olive groves that repay us with a very valuable product. 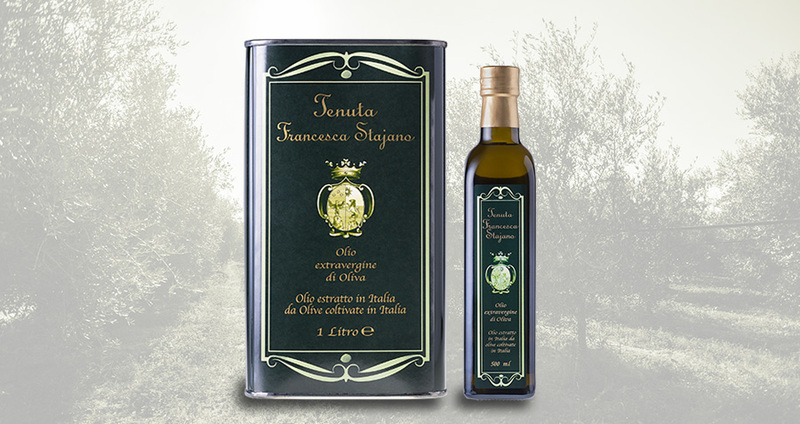 The extra virgin olive oil farm “Francesca Stajano”, for various favourable elements that will contribute (quality of the soil, mild climate, quality of the olives, culture systems, harvesting and pressing) is an outstanding product for the low acidity, for the fruity flavour and persistent and the particular colour. Our olives are harvested when the fruit has reached the right inoliazione (become oily) and the soft and fragrant characteristic of healthy fruit. The milling is done in suitable ways and times so as to obtain a product with exceptional organoleptic and nutritional properties.